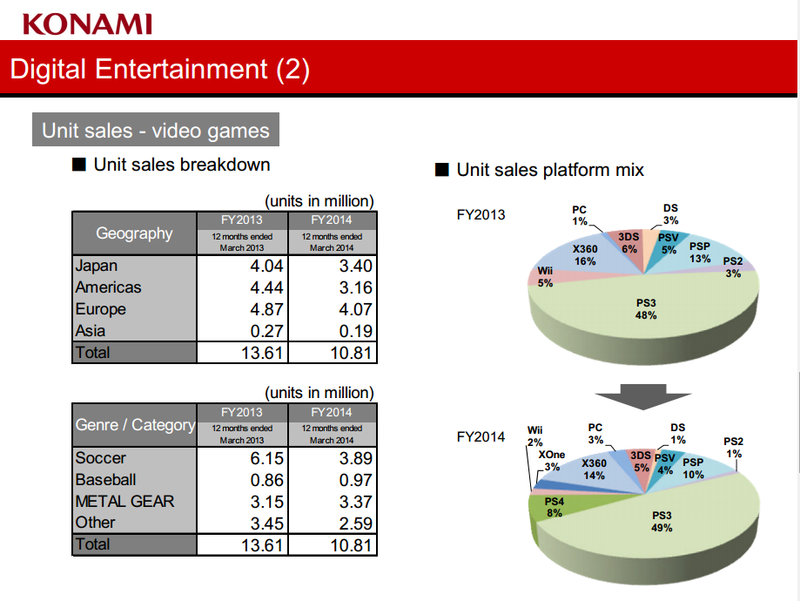 Waltz financial results nearing completion, and Konami has unveiled all its figures for its fiscal 2014 last week. 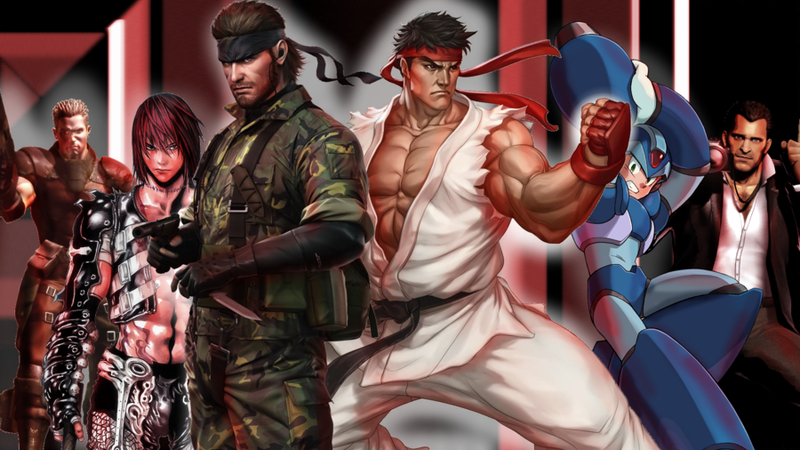 The publisher of the saga Meal Gear Solid achieved a year according to its forecasts despite profit down 53%. Konami has not really commented on the Western market during the last fiscal year, and it seems to have focused in part damage. The Japanese publisher has achieved results in line with its forecast and displays a turnover of 217.6 billion yen (1.57 billion dollars), down 3.7% year on year, for a net profit of 6.2 billion yen (44.6 million dollars) in free fall compared to last year (-53.1%). These lackluster performances put to the account of almost all sectors of Konami, with the exception of the Gaming & Systems segment, which was the only one to reach a larger operating profit than last year . This includes all activities of the enterprise management software for about casinos or slot machines. It is also noted that Konami also has a specialized Pachinko and Pachislot in the industry, which in turn is quite heavy losses, with a turnover of 5.8 billion yen to 1.9 billion in operating losses. On the lower revenues and earnings, the main culprit remains the Digital Entertainment industry, the publisher of video games, the turnover has melted 10%, amounting to 104.3 billion yen (750 million dollars) against 116.4 billion a year earlier. The situation is even more pronounced on the side of the operating profit, which rose from 21.2 billion yen to 11.7 billion yen, or 84.2 million dollars. According to the publisher, no disturbing fact is noted and everything went as planned this year. Metal Gear Solid V: Ground Zeroes has made "solid" sales (no pun intended), while revenue from mobile apps are "supported" and in line with expectations. The publisher did not want to reveal its sales figures in detail, so we learn only that the games of the saga Metal Gear have sold 3.37 million copies this year, preceded by little 3.89 millions of football games publisher (Winning Eleven Pro Evolution soccer).